Steve Lightle and Guy Major, Legion of Superheroes #9. Nicole Maines at a GLAAD event. 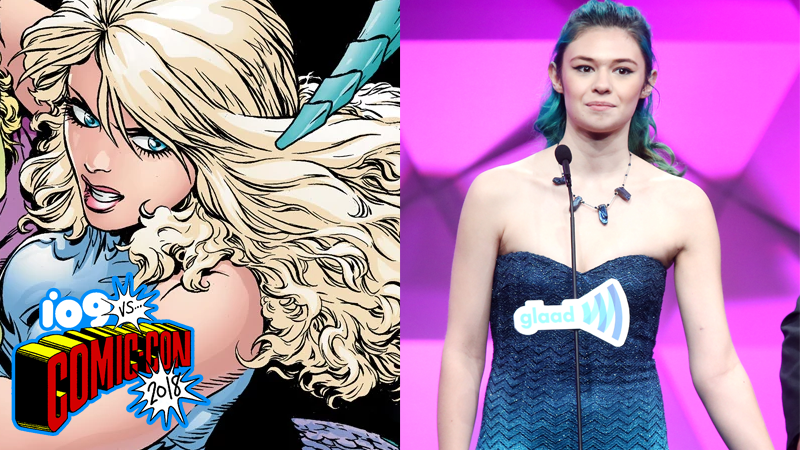 Nicole Maines, best known for her for her activism for transgender rights, will join Supergirl’s fourth season as Nia Nal, a reimagined version of Nura Nal, the precognitive hero who goes by the codename Dream Girl. Supergirl’s Nia—who will go by the superhero codename Dreamer instead of Dream Girl—is a young reporter working for CatCo who transfers to the National City office and quickly finds a friend in Kara.